Afghan government investigators say about 65 civilians, most of them women and children, were killed in a NATO operation last week. 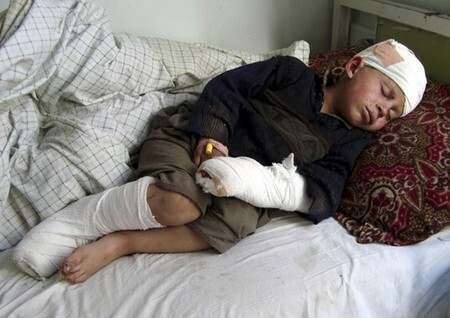 But NATO insists there was not a single civilian casualty during its offensive in Kunar province. No video or photographs have yet emerged, either of the operation or of any bodies. 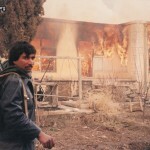 The head of the Afghan investigation team said that victims were burned beyond recognition and buried in a mass grave. One man from the village said that people were killed after they fled, terrified, from their homes. He was speaking at the nearest hospital where people were being treated apparently for burns. President Hamid Karzai strongly condemned the raids and put the toll at more than 50 dead. He ordered an immediate investigation. Senior International Security Assistance Force (ISAF) officials disputed the accounts of Afghan officials, saying weapons systems surveillance from one engagement lasting more than five hours indicated only insurgents had been killed, but agreed to a joint investigation. Some NATO officers believe the village elders may have burned the hands and feet of children and sent them to hospital to create the impression of an incident involving civilians, adding to pressure to halt the operation. ISAF said the investigation team had yet to fully brief force leaders. "Our preliminary findings have not indicated any additional information that would cause us to change our original assessment," an ISAF spokesman in Kabul said.